First Frost celebrates my love of the changing of the seasons in the northwest. As a California native, seasonal changes are basically non-existent and when I relocated to the Pacific Northwest it was truly amazing to witness the spectacular colors with the onset of fall. 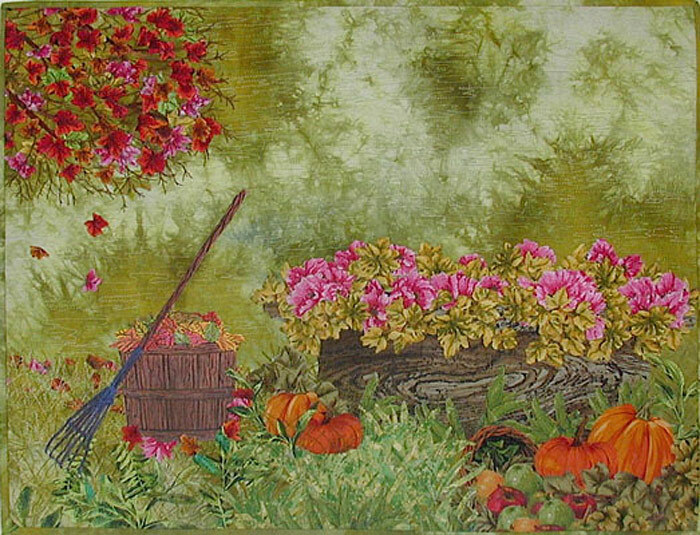 One of Judy Robertson’s gorgeous hand-dyed fabrics from Just Imagination was perfect for the background.